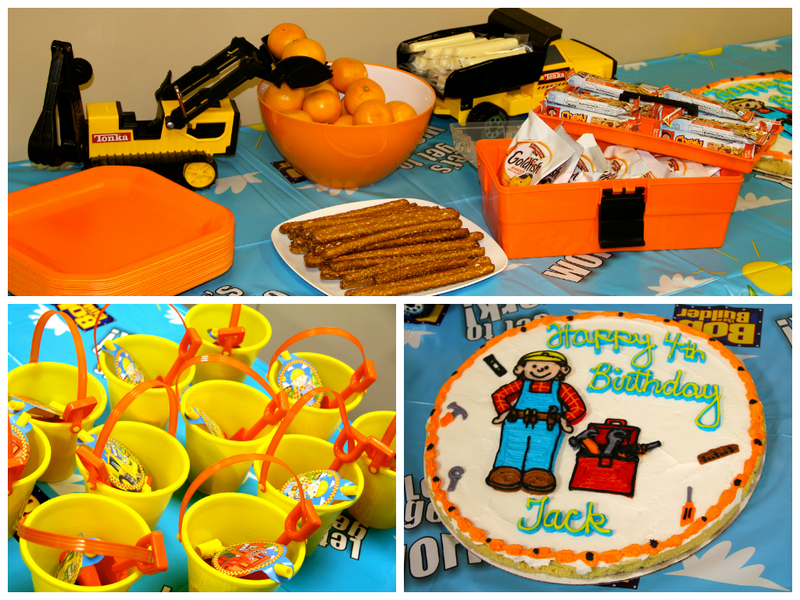 This year we had Jack's Birthday Party at The Home Depot in Highlands Ranch! It was such a cute theme; perfect for Jack's 4th birthday. The Home Depot hosts birthday parties all over the country. There is no charge to have a birthday party at The Home Depot (the project that the kids do along with an apron are also free). It took about 20 or 30 minutes for everyone to finish their projects. Jack had 12 friends at his party, and I think that since the ages were 2-4 most of the parents helped out quite a bit. For the parties with older kids, they mostly can do their projects themselves so the project part might take a bit longer. The kids really had a blast making their projects! After they were built, the kids decorated them with markers and stickers. Next we took a group picture in the hall - it was so cute - everyone in their decorated hats, Home Depot aprons, and with their projects! 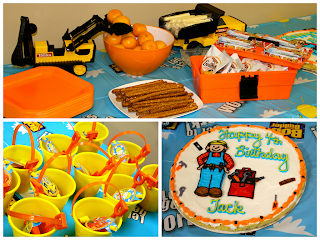 After the cake, Jack handed out the goody bags (a beach pail & shovel, measuring tape, Bob the Builder bubbles, and a Bob the Builder blow-outs), and thanked his friends for helping him celebrate turning 4! Once everyone left, we did a quick clean up, and thanked Jerry for all of his help and we were on our way! Jerry is the person in charge of the Kid's Workshops and Birthday Parties at The Home Depot in Highlands Ranch. He is super nice and helpful :) He is one of those people who truly love their job and it shows! It was such a fun Birthday Party and we hope to go to one of the Kid's Workshops soon!